Deemed a true son of Martinsville, VA., Dr. Philip Martin Sprinkle (Doc), passed away peacefully on Wednesday, December 28, 2016 at the age of 90. Dr. Sprinkle became an Active Fellow of the ALA in 1975 and was elevated to Emeritus status in 1990. Dr. Sprinkle’s education at the University of Virginia was interrupted by World War II when he served as enlisted man in the Army Air Corps at a time the invasion of Japan was to occur. Discharged honorably, he returned to the University of Virginia, School of Medicine where Dr. Sprinkle finished at the top of his medical school class earning AOA Honors and induction to The Raven Society. Having devoted more than 61 years to the practice of medicine, Dr. Sprinkle served as President of the Triological Society. Among his many interest, he was most recognized for his love of Martinsville and its citizens where he began and concluded his career. Following Medical School and his Internship in Seattle, Washington, Doc returned to Martinsville in 1953 with his bride, Mary Elizabeth Wilson Cadger Sprinkle, to begin his more than 61 years of medical practice while Mary served as a Public Health Nurse for Henry County. Both of Doc’s sons, Philip Martin Sprinkle II and Christian Edward Sprinkle, were born in Martinsville and now reside in Richmond, Virginia and Tucson, Arizona. In 1961, Doc returned to the University of Virginia, School of Medicine to receive specialized training in Otolaryngology, ultimately serving as Chief Resident and, subsequently, a member of the Faculty at the School of Medicine. 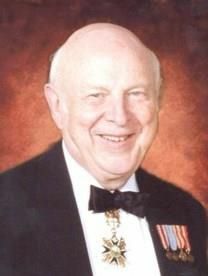 In 1966, Doc was recruited to establish and Chair the Department of Otolaryngology at West Virginia University which he did for 26 years becoming Board Certified in Otolaryngology, serving as President of the Triologic Society (the national honor society for ENT physicians), and achieving both scientific and surgical acclaim. Doc was inducted to the international Order of St. Lazarus and was named to the Board of Trustees of Gallaudet College in Washington, D.C., the world’s only university dedicated to be barrier-free for the deaf and hard of hearing. Doc’s research is still cited to this day, and surgeons from as far as Europe would travel to West Virginia just to watch Doc perform surgery. Those successes aside, Doc later returned to his home in Martinsville to provide two more decades of medical care and finish his career as he had started it-in service to the citizens of Martinsville and Henry County regardless of ability to pay or race, color, creed or orientation. Whether solving a medical conundrum, reciting a verse from the Bible or telling a ribald joke, Doc was loved and respected by all and will be missed for years to come. Doc served Martinsville and Henry County in many other ways including as a bank Director, a Director of the Virginia Museum of Natural History, a philanthropist and as a business, professional and personal mentor to many. He was a devoted member of Lynwood Golf and Country Club where he won the Amateur Championship in 1961, Chatmoss Country Club, and Christ Episcopal Church. Doc was predeceased by his father and mother, Philip Ellington Sprinkle and Margaret Martin Sprinkle, and by his younger brother, Dr. Edward Pierre Sprinkle. Doc is survived by his two sons, Philip Martin Sprinkle II and Christian Edward Sprinkle, his daughters in law, Susan Stanley Sprinkle and Veronica Varner, respectively, and three grandchildren who reside in Richmond, Virginia: Grayson Cameron Sprinkle, Philip Whitlow “Whit” Sprinkle, and Christian Compton Sprinkle. God Bless Doc! A Memorial will be held in the Spring. In lieu of flowers or cards, the family requests that memorials may be made in Doc’s name to the University of Virginia, School of Medicine, the SPCA of Martinsville-Henry County or the Virginia Museum of Natural History.